WINTER IN BANGLADESH PARAGRAPH: There are six seasons in Bangladesh. They are the summer, the rainy season, the autumn, the late autumn, the winter and the spring. Winter comes after the late autumn. It is the coldest season. Generally, it starts in November and lasts up to February. It is the season of mist and fog. The sun rises late and sets early. Even when the sun rises, it is a matter of good luck to see the face of the sun as it remains covered with dense fog. Mists begin to fall at night and disappear as the sun rises in the morning. The nights are longer than the days. The cold wind blows from the north. Most of the trees shed their leaves. Then they look like skeletons. Everything looks grey and hazy due to the dense fog. Everybody wears heavy clothes to ward off the cold. Various kinds of fresh vegetables are available during the winter. Everything is fresh and tasty in this season. It is also a season for travelling. People go to different tourist spots to have vacations and picnics. In this season, the village roads remain dry. So, people go to visit their relatives in winter. An air of festivity prevails (বিরাজ করে) during the whole season. Essay on Winter Season -Introduction: There are six seasons in Bangladesh. They are the summer, the rainy season, the autumn, the late autumn, the winter and the spring. Winter comes after the late autumn. It is the coldest season. Generally, it starts in November and lasts up to February. Description: The weather remains very cold during the winter. It is the season of mist and fog. The sun rises late and sets early. Even when the sun rises, it is a matter of good luck to see the face of the sun as it remains covered with dense fog. Mists begin to fall at night and disappear as the sun rises in the morning. The nights are longer than the days. The cold wind blows from the north. Most of the trees shed their leaves. Then they look like skeletons. Everything looks grey and hazy due to the dense fog. Everybody wears heavy clothes to ward off the cold. Merits: It is the season for food lovers. Juice is collected from date trees. Molasses and sugar are made from it. In every household different types of cakes and special dishes are prepared in winter. Various kinds of fresh vegetables are available during the winter. Everything is fresh and tasty in this season. It is also a season for travelling. People go to different tourist spots to have vacations and picnics. In this season, the village roads remain dry. So, people go to visit their relatives in winter. An air of festivity prevails in the whole season. Demerits: It is a difficult season for the poor. For want of warm clothes, their life becomes miserable. They lit up the fire with straw and bask in the fire. In the morning people are also found sitting in the sun for warmth. Sometimes, cold waves (শৈত্য প্রবাহ) hit. Then the children and the old people suffer (কষ্ট করে) very much. Many people even die from the terrible cold. Conclusion: Though winter is bare, dull and colourless to some people, I find a strange beauty in this season. The weather in winter is salubrious. A sound sleep under the heavy quilt in the long winter night is very enjoyable. So, I like it very much. Essay on Winter Season – Winter is one of the six seasons in Bangladesh. It comes after the late autumn. It begins in the middle of November and lasts up to the middle of February. It covers the two Bengali months- Poush and Magh. In winter, the days are short and the nights are long. To me, winter is the best of all seasons in the year. There are various reasons why I like winter best. In winter, we get various kinds of vegetables and fruits in plenty. To speak the truth, these are comparatively cheap in this season. The vegetables that are grown and supplied in plenty are the beans, tomatoes, cauliflowers, cabbages, turnips, potatoes brinjals, radishes etc. They add to the variety of our taste and palate. During winter fishes too are available in plenty. Home-made cakes, date-juice, fried rice etc. add to the enjoyment of a winter morning in our villages. The molasses made of date juice, the most palatable Bengali food is available in plenty. Orange, one of the desirable fruits found in this season is cheap. Various types flower such as marigold, sunflower etc. bloom. We can work hard. Our body does not sweat. We are not easily tired. We can digest all types of food better in this season. There are crystal-like dew drops on the grass which look very beautiful. 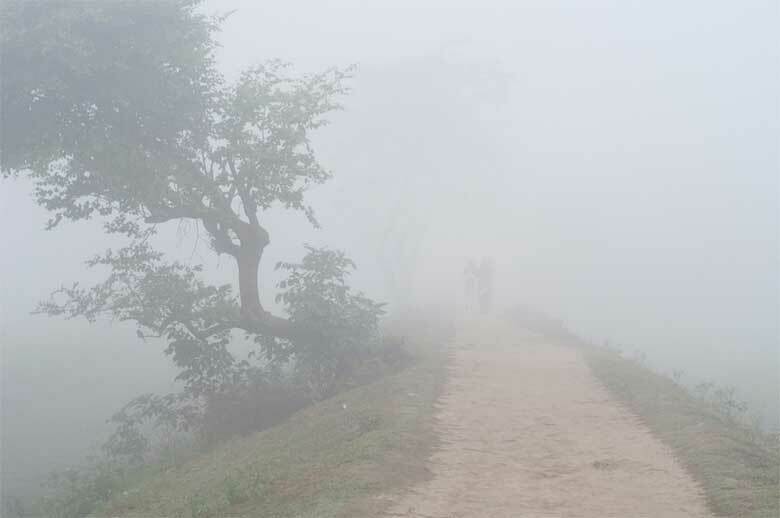 The roads & streets even open meadows are not visible in the morning due to mist and fog in this season. A warm bed at night in winter gives us great pleasure and comfort. We wear warm clothes and feel comfortable when going out. Winter is a dry season. We can move about freely. The roads are dry. It is free and easy to walk along the dry roads. The sunshine is very pleasant in the morning and afternoon in this season. We find this season in the most appropriate time for holding picnics in the open air. We can play many outdoor games such a cricket, badminton, tennis etc. in this season. The rain can not mar our joy and pleasure. Moreover, epidemic diseases do not break out in a serious form in this season. It is a painful season for the poor who can not manage warm clothing. Vagabonds and destitute suffer greatly from cold. Nature looks dull and gloomy. Leaves of trees fall off. Most of the birds migrate from here to there. In the end, we can say that other seasons have their usefulness. But I think that winter gives us greater comfort and pleasure. So I like it best. Essay on Winter Season – There are six seasons in Bangladesh. The winter season is one of them. Paush and Magh are the months of winter season. It comes after the late autumn season. Winter is the season of fog. Dew drops fall at night. In the morning, the dew drops look like pearls. The sky remains cloudless. Trees become leafless. Children and old men bask in the sun in the morning. Men shiver with cold. Poor people suffer much from cold. Even the animals and insects feel the pinch of cold. The rich use their warm clothes but the poor do not get such an opportunity. They keep themselves by burning dry leaves, hay and other things. In the winter season, the days are short and the nights are long. This season has a lot of advantages. Vegetables and fishes are available everywhere in the winter season. Date juice is also available in the village. The price of fruits falls comparatively. Because different kinds of fruits grow in plenty in the winter season. People can take the taste of different kinds of cakes in the winter season. The payesh of date juice can be enjoyed only in the winter season. Besides, the paddy fields remain dry and clear in this season. On the other hand, the weather remains dry then. As a result, village people can enjoy fair, Jatra, Jariagan, Kabigan etc. Children can also take part in different outdoor games. Winter season has some demerits too. Poor people suffer much due to excessive winter. Old people become weaker due to severe winter. Generally, people get up late in the morning. As a result, they do not get much time to work. Besides, the days are comparatively short in the winter season. Though the winter season has some disadvantages, it is enjoyable. Almost all the places in the country are then dry. So, the communication of Bangladesh is comparatively easy then. Essay on Winter Season – Introduction: Bangladesh is a darling child of nature. She is blessed with six seasons, called summer, rains (rainy season), autumn, late autumn, winter, and spring. Winter: Winter is the fifth season in Bangladesh. It is a season comprising two Bangla months of Poush and Magh. It appears with biting cold and all its features as well. Fresh vegetables, fish, date-juice are available in this season. It is a painful season for those who have no warm clothes. Cold makes people idle so they do not rise early but late in the morning. Many a time the sky remains covered with thick fogs. A strong cold wind from the northern part of the country blows and people seem to be frozen if cold is violent and strong in nature. Pleasing features: Winter has a very pleasing feature for young/aged boys and girls as it provides them with a very important moment of marriage. Many marriages are solemnized in this season. Hence it is called or popularly known as the season of marriage. Parents and legal guardians of young boys and girls keep waiting for this season to marry them off. Marriage bells in this season start ringing and the air becomes filled with the tantalizing aroma of Kachchi biryani, polao, and plain bhat and beef especially in rural areas. This is the season to eat and of course a time to make the age-old oath that binds a man and woman together. Marriage season: All parents in this season become busy with marrying off their sons and daughters who have already come of age and adult. Marriage, in fact, is defined as a sexual contract between the two opposite sexes. When winter sets in the innumerable community centers in towns and cities and the parlor rooms and the yard getting ready to welcome the season of marriage. With the advent of winter professional matchmakers in rural areas conduct direct negotiations with both the parties, bride, and bridegroom. But in towns and cities, matchmaking is done through telecommunication or publishing advertisements in the newspaper. Both the parties have their terms and conditions. The marriage is solemnized after the fulfillment of the terms and conditions. Marriage in winter season has charms in itself. The dishes prepared for invited guests do not get rotten or become unfit for eating for a long time. Everything is available in a very fresh condition. Nothing is scarce in this season. It is said, marriage is made in heaven. No matter what religion or creed, the aim of all marriages is same and similar. It brings a man and a woman together to build up a family. The ways of bringing about this union may differ in different religions but the idea, notion and thought lying behind it are same. In the early days, the festivities of marriage were prolonged as people considered it is the greatest manner of entertainment. Then the feasting and merry-making continued for days together. But the world today runs at a fast pace and does not permit so much of time for so many celebrations. Yet there are certain formalities observed by many. Conditions of marriage: Marriages have always been the occasions of fun, laughter, merriment, and happiness. Two opposite sexes make a bond to live together or to lead a conjugal life by raising a family. In it there exists a promise that they will take human race, stick together through success and failure there are many witnesses behind the promise to give evidence if necessary in future. Conclusion: Marriage is an event that has always been one of their most memorable events for any man or woman, now with so many transformations in our life. The ceremony has become far grander and pronounced. In the towns and cities, the affluents are always trying to add a dash of novelty to their wedding ceremony and the middle-class is not too far either. Yet the well-wishers’ kith and kins, nearest and dearest ones, friends and relatives offer a prayer so that the young couple may lead their conjugal life happily. So winter is a boon to the young boys and girls.